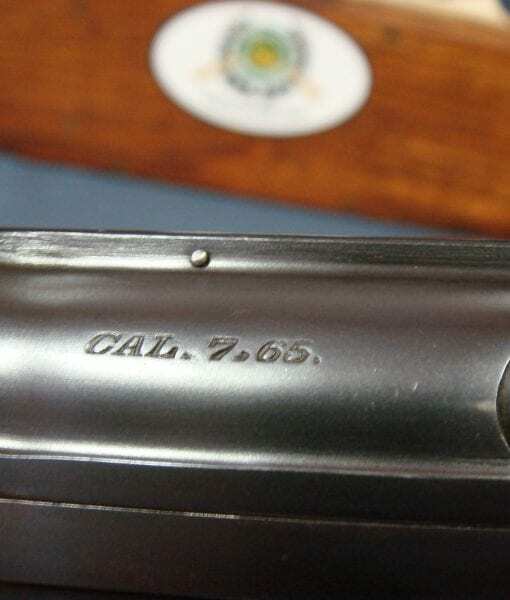 In 98%+ mint crisp condition, we have an exceedingly rare and exquisite and very important very early production example of the J.P. Sauer Model 1926 “Export Model” 7.65m/m Pistol. 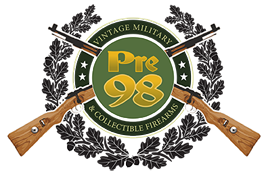 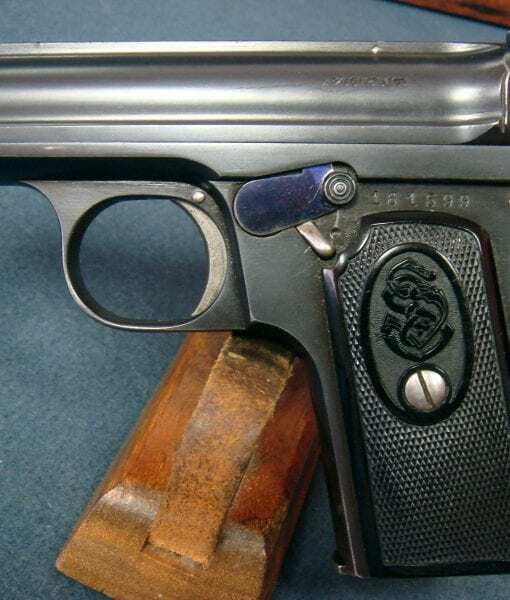 This highly elusive pistol is considered to be the transitional bridge model between the Model 1913 series and the Model 1929/30/Behoerden series. 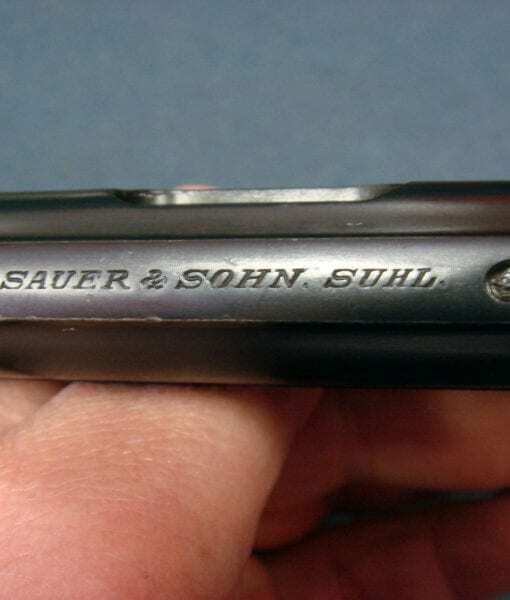 It is currently estimated that less than 2,000 were ever manufactured by Sauer and they are almost unknown in this country, certainly less than 10 are even known to be in private collections. 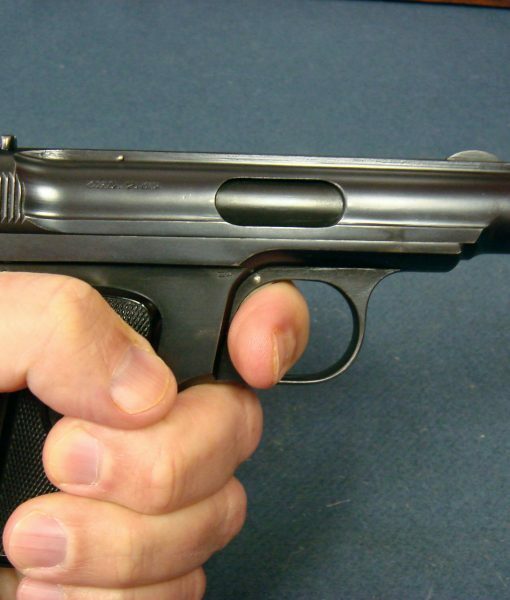 Most of these 2,000 or so pistols were probably sold in Germany, Holland and to the NKVD in the Soviet Union, where they have turned up. 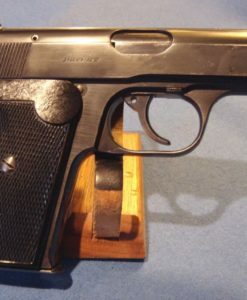 This is very likely to be one of the earliest manufactured examples of this model. 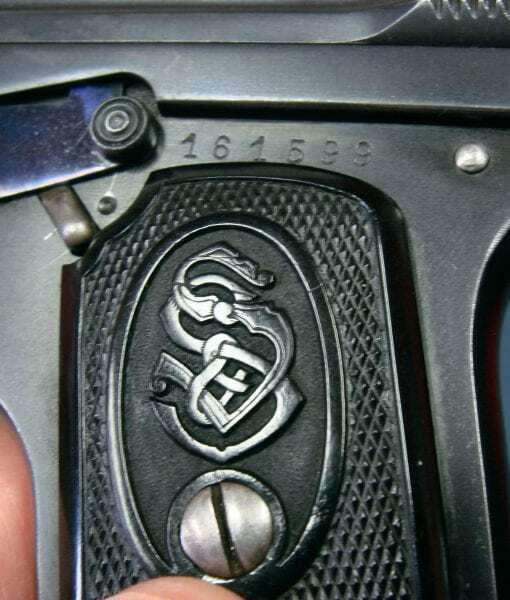 This example is all matching with a mint bore and almost all of the iridescent fire blue. 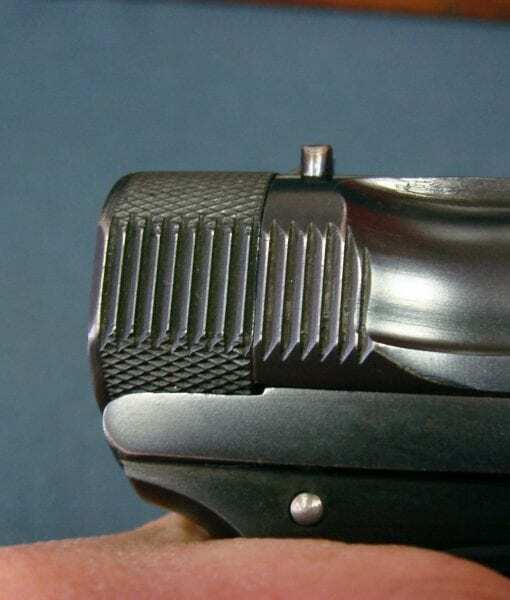 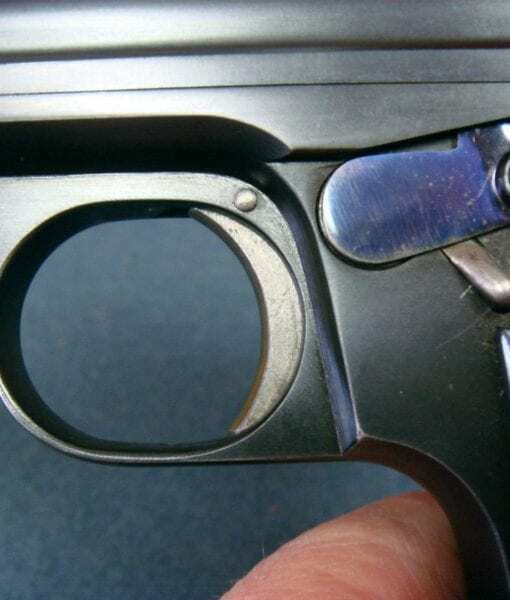 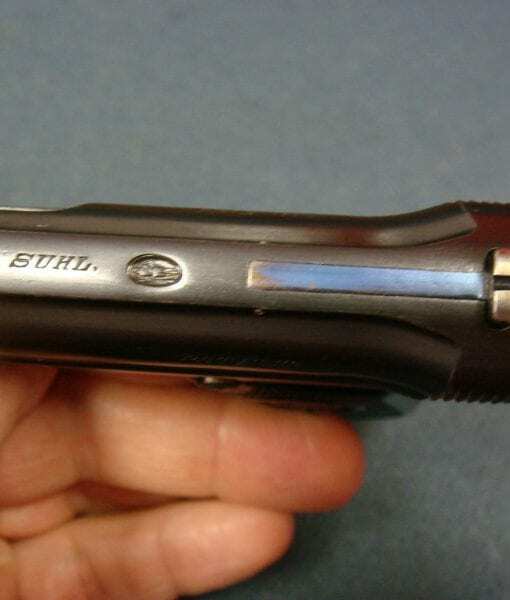 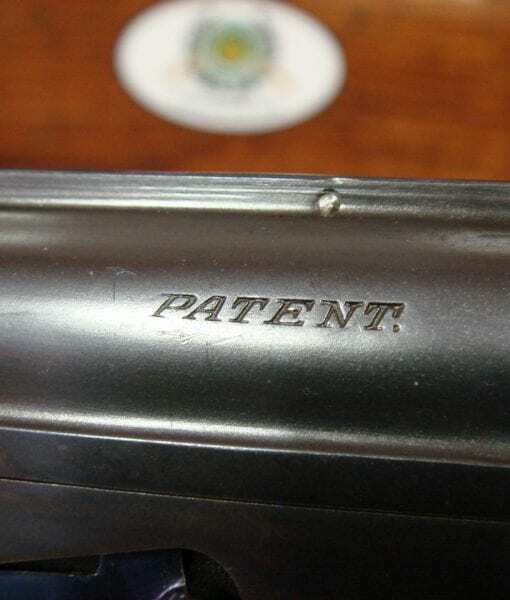 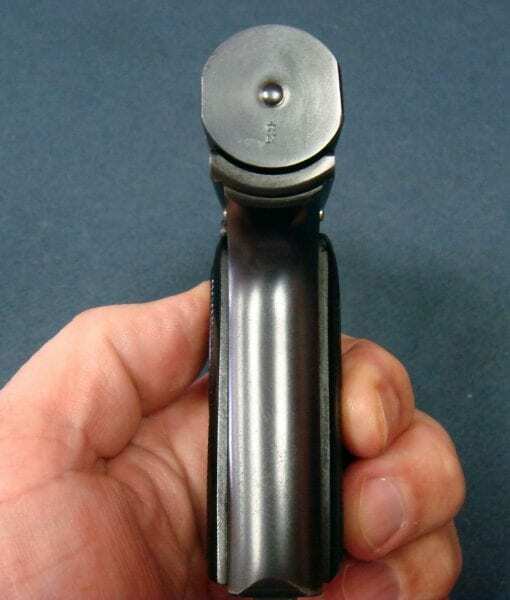 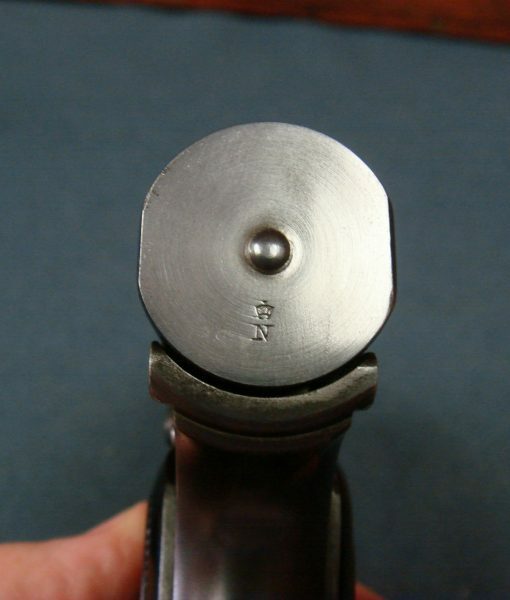 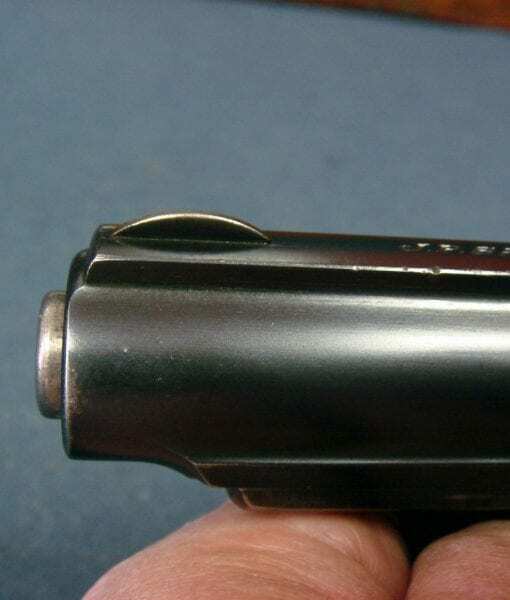 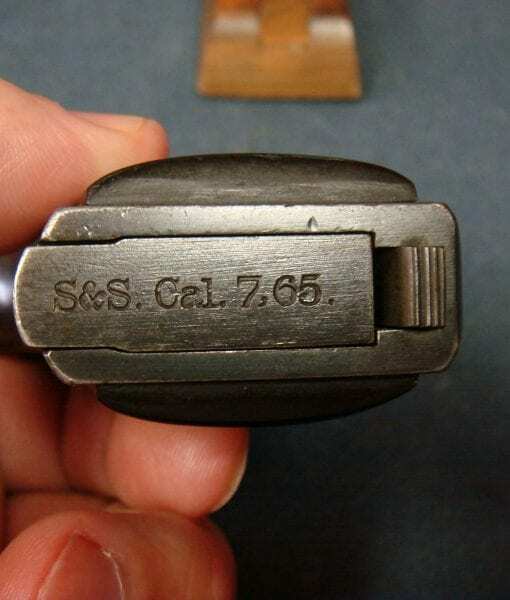 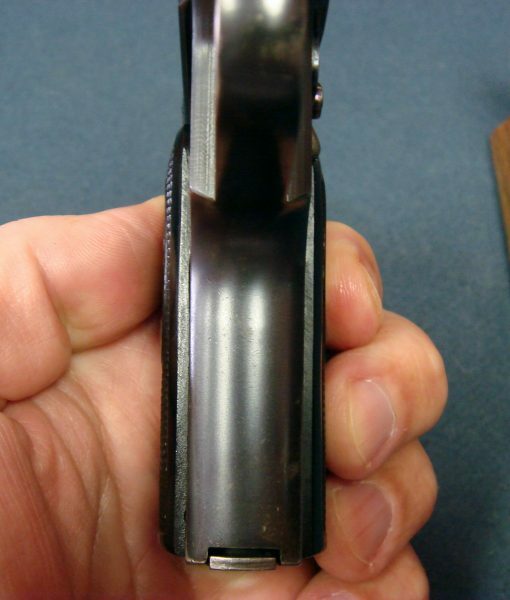 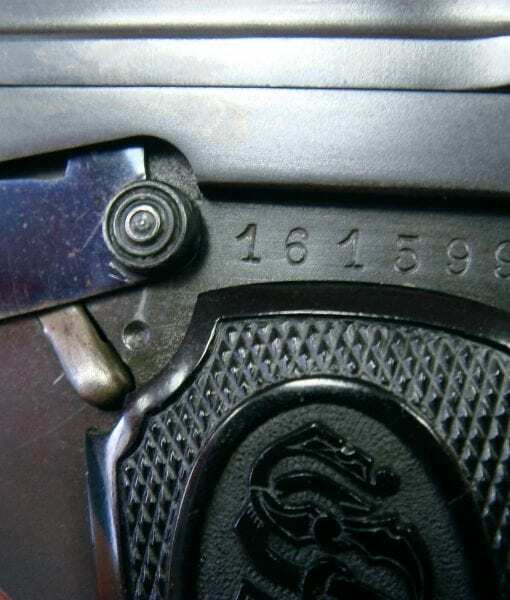 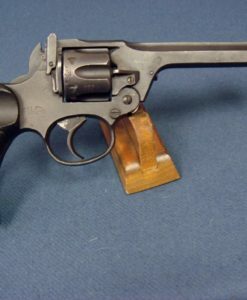 The noticeable differences from this model and the 1913 series are the oval trigger guard, the beefed up slide with additional knurling ahead of the cocking knob and the improved safety. 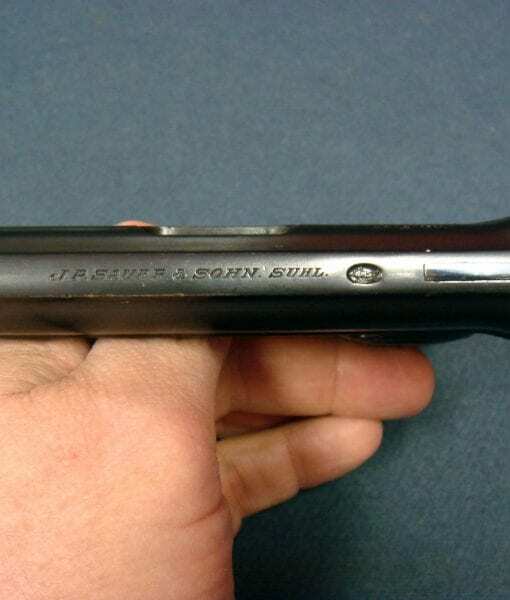 This pistol is truly the “missing link” in almost all J.P. Sauer Pistol collections, the only other one we ever have seen was back in 2013. 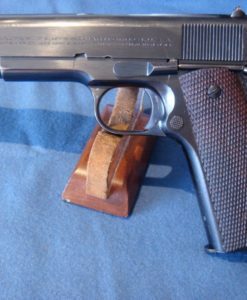 They just do not exist are are never offered up for sale; certainly not in this stunning condition. 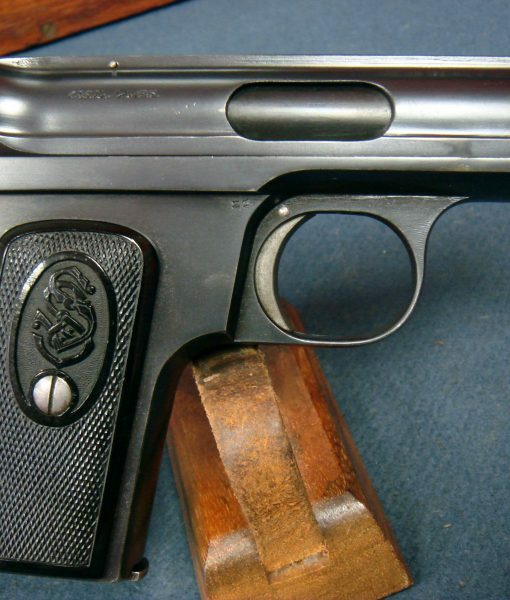 To find such a rare pistol in such stunning condition is a significant find.